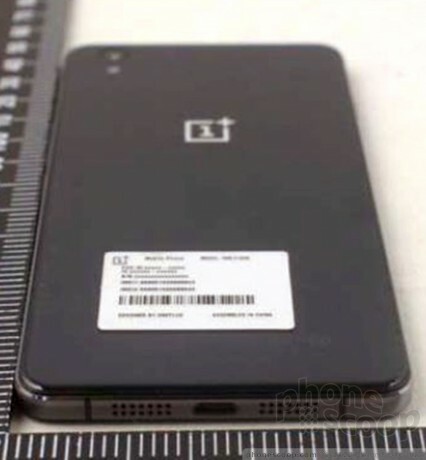 The FCC today revealed an unannounced smartphone from OnePlus. The model number listed by the FCC is One E1005. The device differs in design from the OnePlus One and OnePlus Two handsets in that it has round top and bottom edges and an off-set camera on the back. It resembles an iPhone to a certain degree, based on images included in the FCC documents. The FCC indicates the One E1005 has a 1.9GHz processor and support for LTE, Bluetooth, GPS, WiFi, and FM radios. OnePlus handsets generally run Oxygen OS, a forked version of Android Lollipop. The FCC documents don't confirm what platform the E1005 runs. OnePlus has scheduled a media event for Oct. 12 in India, and it's possible the One E1005 will be announced at during that event.